Certain films demand to be watched on Blu Ray and generally, they're not exactly high art. G.I. Joe: Retaliation is such a film. Sure, it's may not be a "thinking man's film" but it looks and sounds fantastic. Sure, it has a touch of the Michael Bay's about it but none of the douchebaggery that would ordinarily accompany such a film... apart from a handful of Transformers inspired sound effects. Duke (Channing Tatum) and Roadblock (Dwayne "The Rock" Johnson) lead a team of Joe's on a tactical strike in Pakistan. After securing a cache of nuclear warheads all hell breaks loose which turns this paint by numbers movie into an action packed revenge flick. As Stu pointed out in his review of the film, the cast in this film definitely add to the overall fun of the film. 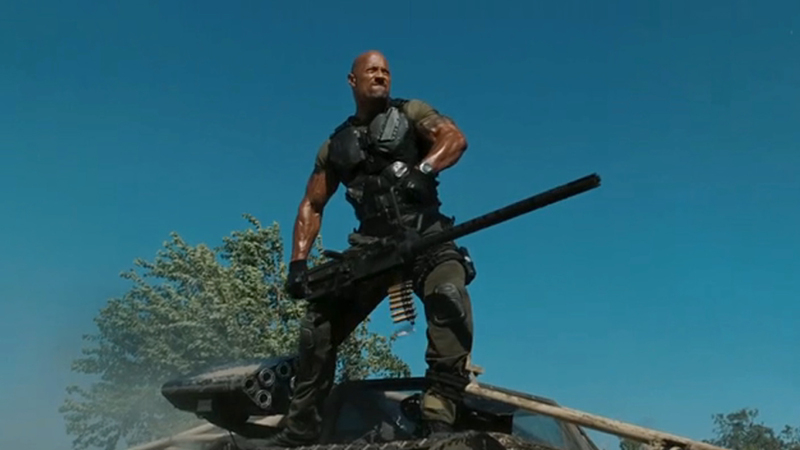 While I may not share the same level of affection for The Rock as Stu does (EPIC man-crush), I have to admit that he knows how to have fun with the camera and is proving to be one of the best action actors in modern cinema. Unlike Stallone, Arnie and G.I. Joe himself, Bruce Willis, The Rock manages to deliver drama, comedy and action better than any other current Hollywood action star. Furthermore, he actually looks as though he could do some serious damage if he got his hands on you. Of course, The Rock isn't the only actor in this film and the interaction between he and Channing Tatum is a standout. I could easily watch those two in any number of buddy-cop style of film. The appearance of Ray Stevenson as Firefly was, according to the special features, supposed to be only a couple of lines of dialogue until everyone fell in love with Stevenson's characterisation of the Cobra explosives expert. Although he has one of the strangest accents in film history, he also rides one of the coolest motorcycles (a heavily modified Ducati Monster) so all is forgiven. A notable appearance by Eurasian black belt, Elodie Yung, and the awesome Jonathan Pryce round off a rather good ensemble cast. Director Jon M. Chu seems to have channelled Bay and, in my honest opinion, has easily surpassed Bay's more recent efforts. While there may not be quite as many Baysplosions, those that do occur are more relevant to the story and aren't purely for looks. Chu's experience in the music industry with films such as Step Up 2 and the Justin Bieber movie seems to shine through both in terms of the films hip-hop references to Jay-Z and an appearance by the RZA from Wu Tang Clan and stylistic sensibilities. 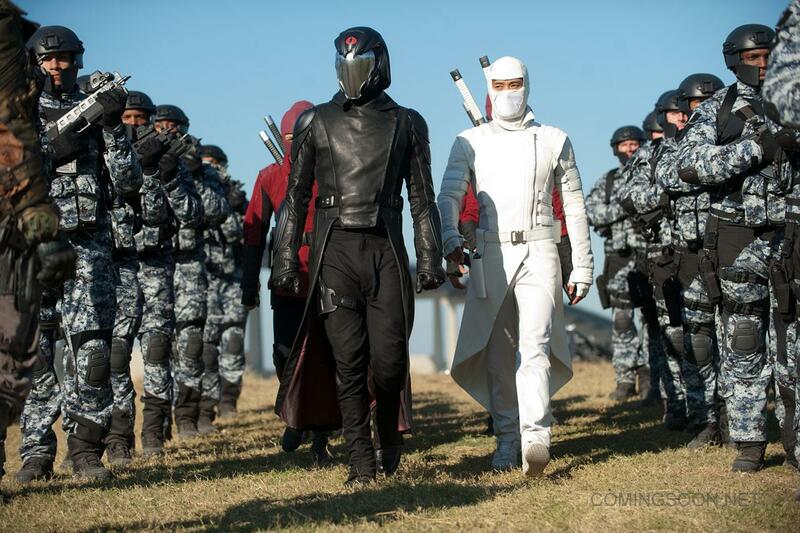 His use of quick cuts further accentuate some awesome hand-to-hand action sequences between Ray Park and Korean Byung-hun Lee, a guy that could easily become a go-to Asian presence in Hollywood. Admittedly, this isn't a fantastic film BUT it is certainly a great deal of fun and the perfect movie for a Friday or Saturday night at home. G.I. 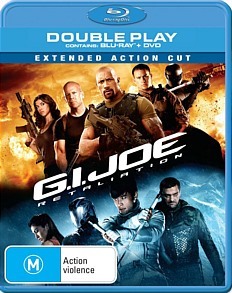 Joe: Retaliation is available on Blu Ray and DVD Australia-wide from August 14th.